Accountants help businesses and organizations solve problems and succeed in a rapidly changing, globally competitive environment. Our graduates join a network of Purdue alumni who hold important positions in organizations around the world. For example, Beth Brooke-Marciniak, CPA and Global Vice Chair - Public Policy at EY, is regularly named to the Forbes List of 100 Most Powerful Women. Our graduates place nationally with Big 4 accounting firms, regional public accounting firms, Fortune 1000 companies, consulting firms, small corporations, not-for-profits and government agencies across the U.S. and internationally. Our Masters of Science (Accounting) degree is a two-semester, 30 credit hour program that features a flexible curriculum with field consulting opportunities with start-ups and non-profits. Students tailor their coursework to their career goals while becoming CPA-exam ready. Fall or Spring Semester program start dates are now available. Our Ph.D Program in Accounting prepares students for careers as researchers and teachers. Our graduates have published their research in top accounting journals and are recognized for their rigorous analytical training. While studying at Purdue, accounting students have ample opportunities for professional development and networking through student organizations sponsored by the Accounting Area. The Accounting Area is committed to Purdue's mission of creating and disseminating knowledge. Over the last several years, our faculty members and recent Ph.D. graduates publish their research in top academic journals and present it conferences around the world. As part of our efforts to promote cutting-edge research, the Accounting Area hosts an annual accounting theory conference that features researchers from across the country. Details of the 2018 conference are available at Fourth Annual Purdue Accounting Theory Conference. Congratulations to Zeta Alpha Chapter of Beta Alpha Psi for being recognized internationally as a Distinguished Chapter. Great job! We are pleased to welcome Prof. Kevin Koharki and Prof. Diana Choi to our faculty. Professor Troy Janes is now a memberr of the Auditing and Attestation Subcommittee of the AICPA. This subcommittee is responsible for the content of the Auditing and Attestation section of the CPA exam. 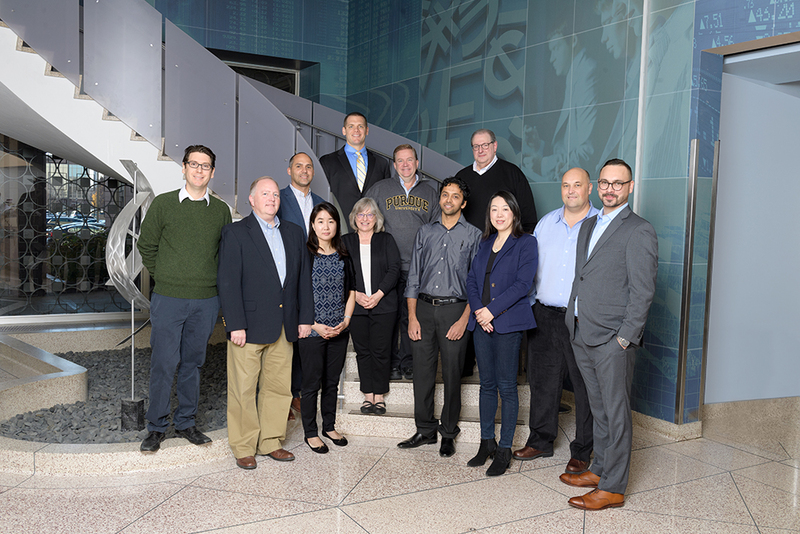 Krannert's Accounting program has great faculty who care about helping students learn.